At Sie Eyecare, our goal is to promote good eye health and enable you to have the clearest vision possible. We accept many vision insurance plans, cash, checks, credit cards, flexible spending cards and Care Credit. For medical related visits we are providers for most medical insurance plans. The knowledgeable staff at Sie Eyecare is experienced in working with insurance providers. 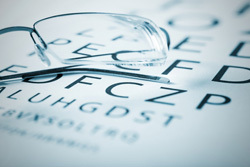 We will work directly with you and your insurer to submit claims regarding your eye care. We strive to ensure that you understand your insurance coverage and will answer any questions you may have regarding your benefits. Contact our office at 704.548.9888 to find out if your insurance provider is accepted in our office or for more information about your insurance coverage. Vision Service Plan (VSP), Eyemed, Superior, Community Eye Care, BCBS, United Healthcare, Aetna, Cigna, Physicians Eye Plan, Humana, Medcost, and Secure Horizons. We also accept other insurance plans, please contact us to see if we can work with yours. Visa, MasterCard, Discover, Flexible Spending Cards, CareCredit, Cash, and Personal Checks. We are pleased to offer our patients the CareCredit® card, North America's leading patient payment program. CareCredit is the credit card exclusively for healthcare services not covered by insurance. Learn more by visiting CareCredit.com or contacting our office. Ready to apply? Apply online for your CareCredit card today. Click here to apply. Many employers offer Flexible Spending Account (FSA) options to employees. These plans are designed to let you save money in a pre-tax account to pay for out-of-pocket medical expenses such as co-payments, eye exams, glasses and contact lenses.